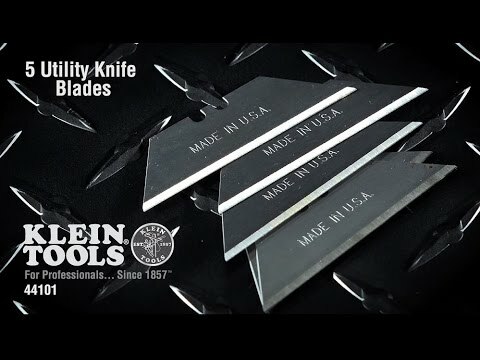 Keep this 5-pack of Klein Tools Utility Knife Blades handy, so you never have to worry about being stuck with a dull blade. These blades have sharp edges on both sides. That means once one side is dull, just reverse the blade for a brand new cutting surface. These standard 2-7/16'' blades are compatible with most utility knives. Blades are intended for cutting only, and should be handled and disposed of with care. Bending the blade can cause it to break, possibly resulting in bodily injury.